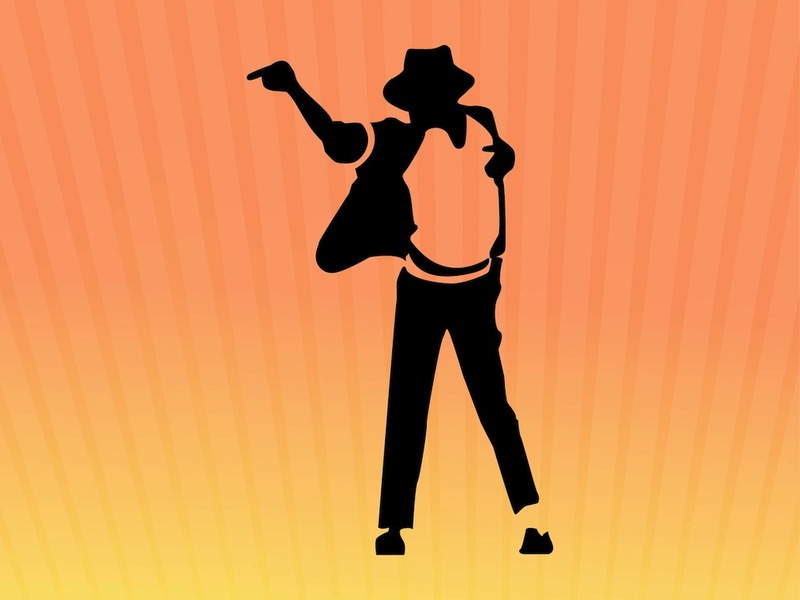 Silhouette vector portrait of the King Of Pop. Famous pop icon doing a signature dance. Solid color silhouettes on the clothes and limbs of Michael Jackson. Free vector illustration to use in all your music, musicians, celebrities, dancing, pop stars and famous people projects. Download dancing vector for posters. Tags: Dance, Dancing, King Of Pop, Music, Musician, Silhouette, Star.